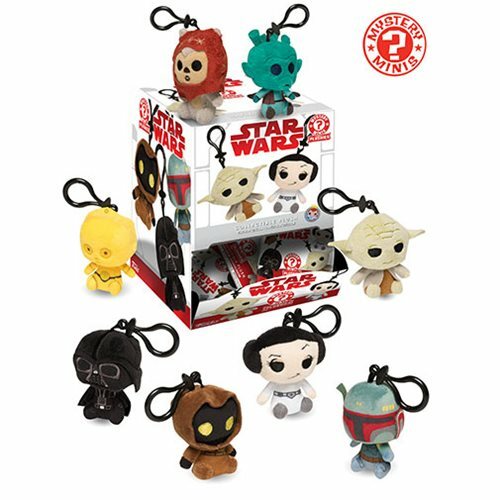 Get your Star Wars characters from the original trilogy as Mystery Mini Plushies Keychains! Measuring approximately 2 1/2-3-inches tall, each plush comes in a blind bag so you can hunt and collect your favorites. This Star Wars Classic Mystery Mini Plush Key Chain Display Case includes a total of 18 plush key chains.